After laying points in two straight games, the Bulls are home underdogs against a Clippers team struggling to score points in a potential UNDER spot for bettors. 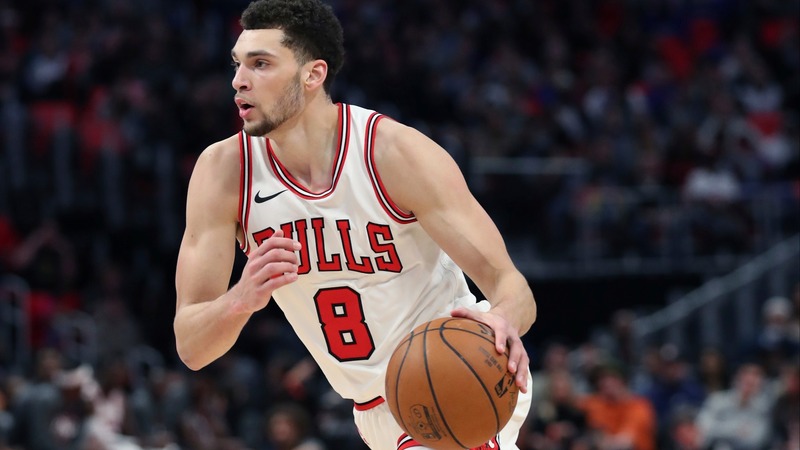 After flirting with the favorite side of the line in two straight contests, the Bulls are back in the underdog role Friday as they host a Clippers team trying to shake off six losses, straight up and against the spread, in their past eight games. Chicago (11-37 SU, 21-26-1 ATS) enters Friday's contest (7:05 p.m. CT) as a 5-point underdog, on the heels of its 20-point home loss to Atlanta despite [laying the points at home](https://www.betchicago.com/nba-betting-lines-odds-trends-bulls-hawks). It was the Bulls' second straight game as favorites -- including Monday's [16-point win](http://www.espn.in/nba/recap?gameId=401071368) at Cleveland -- and third time as a favorite this season, even after a 10-game SU skid entering the week. __MORE:__ [Bulls finish ugly, eventful road trip in fitting fashion](https://www.betchicago.com/bulls-road-trip-record) The Bulls' losses have coincided with a bit of a cold stretch from Zach Lavine, who has hit 30 points just once in 14 games since returning from an ankle injury in late December. Bettors may find value in UNDER 22.5 points [at FanDuel](https://sportsbook.fanduel.com/sports/event/663549.3), as he's topped that total twice in the past six games against two of the league's worst defenses. It doesn't help matters for Chicago that Wendell Carter Jr. has missed four straight with a torn ligament in his thumb that could [sideline him](http://www.espn.com/nba/story/_/id/25818659/chicago-bulls-wendell-carter-jr-surgery-thumb-8-12-weeks) another two or three months. That's meant more opportunities for Bobby Portis, who seems like a [strong bet to top 20.5 combined points and rebounds](https://sportsbook.fanduel.com/sports/event/663549.3) against Los Angeles' eclectic frontcourt. __Friday's full card:__ [Raptors at Rockets highlights betting slate](https://www.betchicago.com/raptors-rockets-nba-betting-lines-odds-trends-james-harden-scoring-streak-kawhi-leonard) The Clippers (26-22 SU, 26-22 ATS) fell apart defensively in their recent homestand, as a five-game losing streak sent them tumbling down the West standings. Players say the losses were a "[reality check](https://www.latimes.com/sports/clippers/la-sp-clippers-reality-check-20190124-story.html)" and it has showed with two outright wins as road underdogs in the past five days. It's no coincidence that Doc Rivers' crew has held its past three opponents to under the [league average](https://www.basketball-reference.com/leagues/NBA_stats.html) of 110.5 points. The Clippers' improved defense showed in Wednesday's [111-99 win](http://www.espn.com/nba/game?gameId=401071382) at Miami, which marked the fourth straight time and 10th in the past 12 outings that a Clippers game has gone UNDER. The UNDER is 6-1 in Los Angeles' past seven games with one day's rest, while the Bulls are 1-5 ATS after a day off with two straight going UNDER. After starting the year as UNDER darlings, the Bulls' defense gave way to a string of five straight OVER marks and seven of eight amid Chicago's January woes. But those games were with Carter, and only one (against Golden State) matched the 220 total of Friday's tilt. The trend bodes well for those backing the UNDER, which is undefeated in the Clippers' past six road games. ## Clippers at Bulls betting lines, odds Odds provided by Westgate LV SuperBook __Point spread:__ Clippers -5.5 __Total:__ 220 __Moneyline:__ Clippers -230, Bulls +185 __Play and win:__ Free [Daily NBA Pick 5 contest](https://betchicago.chalkline.com/games/nba-pick-5). Correctly pick five games against the spread to win a BetChicago prize pack.